Siemens has announced a scalable, end-to-end IoT solution, designed to help oil and gas companies optimise production and reduce costs through connected systems, automation, and analytics at the edge. Developed in collaboration with Intel’s Industrial IoT Group, Siemens IoT Well Surveillance will be showcased at the Abu Dhabi International Petroleum Exhibition & Conference (Adipec). This innovative solution offers companies across the oil and gas industry a cost-efficient solution to link distributed assets into an integrated network with minimal effort, while simultaneously providing a high level of automation. In a sector beleaguered by falling prices, Siemens IoT Well Surveillance will allow energy companies to acquire the cost benefits of Digitisation. Oil and gas prices have dropped by 50 per cent since 2014 and companies are looking to technology for the business transformation that will increase efficiency and optimise operations. Siemens IoT Well Surveillance lets companies connect and integrate data from previously unconnected assets in a cost-efficient manner — enabling comprehensive condition monitoring, predictive maintenance, and reduced facility downtime. Siemens IoT Well Surveillance addresses field operation and oilfield artificial lift control. The solution uses existing sensors and Siemens’ Simocode motor management system as key inputs for edge data analytics. The edge computing device, an Intel-powered Siemens Nanobox, performs advanced analytics and soft sensing on this data, calculating pump conditions from it, triggering alerts, and optimising the production. Performing these calculations at the pump enables independent operation on the well. For further processing and field analytics the information is sent to a central system such as SCADA or an IoT platform. Dynagraph and alert functions with video integration are available for well site personnel via a fully interactive web portal. Overall benefits of Siemens IoT Well Surveillance include increased asset awareness, operational efficiency, and increased revenue from production optimisation. “Siemens IoT Well Surveillance optimises oil production and works with the utmost energy efficiency,” says Uwe Tröger, Siemens Global Head of Oil & Gas Onshore and Senior Executive VP of the Process Industries and Drives (PD) and the Digital Factory (DF) Divisions in the Middle East. Intel collaborated with Siemens in the development of Siemens IoT Well Surveillance. Both Intel technologies and hardware are featured in the solution, including an Intel Atom processor-powered Siemens Nanobox gateway and an Intel-based wireless access point. The Intel Core i5 processor-powered ruggedised tablet is used for onsite visualisation of up to six months' of data and for data capture at the well. Intel also collaborated on the edge software. 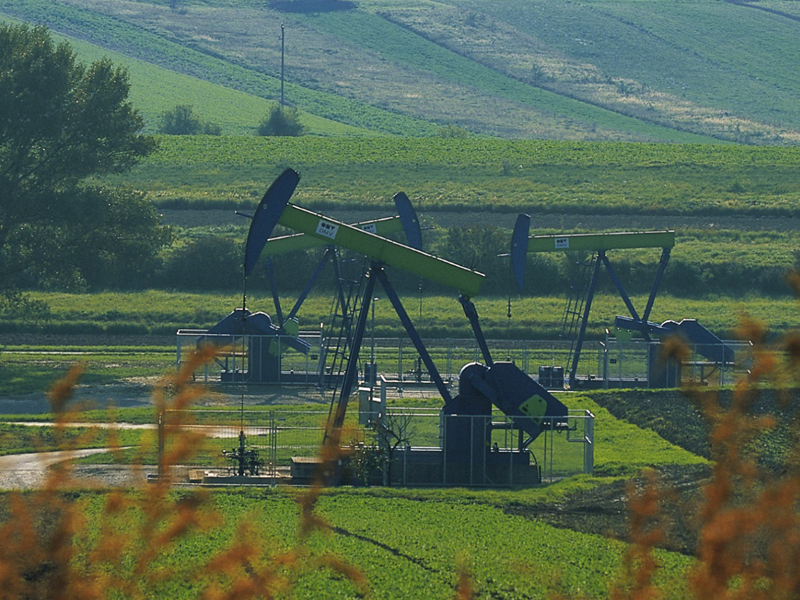 OMV, a Vienna-based integrated oil and gas company, has been piloting the Siemens IoT Well Surveillance solution at an OMV oil field since April 2017. An operator of several thousand beam pump stripper wells, OMV is highly encouraged by the early pilot results which have enabled production optimisation, early production loss identification and deferment, maintenance optimisation, and field personnel relief.